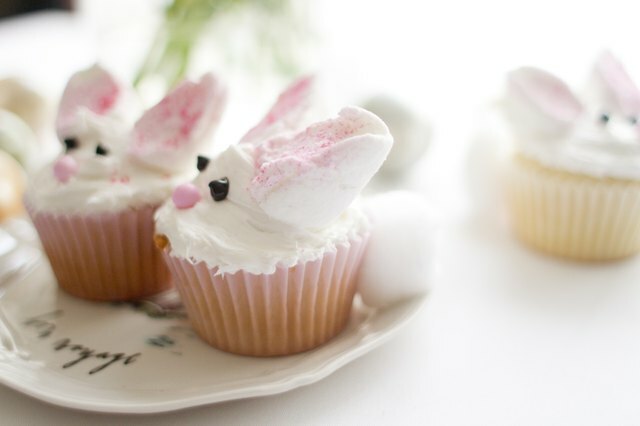 These adorable bunny cupcakes are must for your Easter gathering or any spring occasion that calls for desserts! 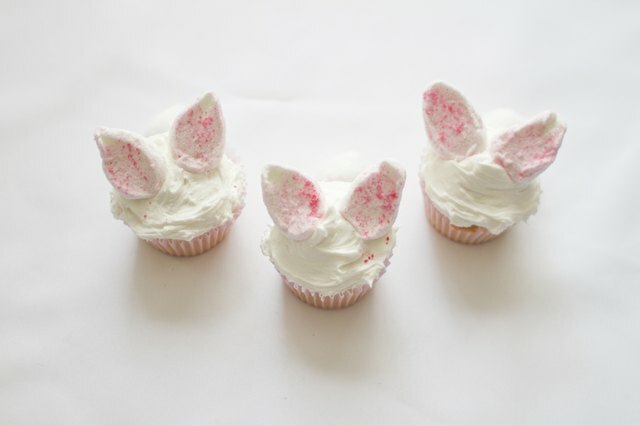 The cute little ears and cotton tails are a fun way to transform an ordinary cupcake into something irresistibly cute. 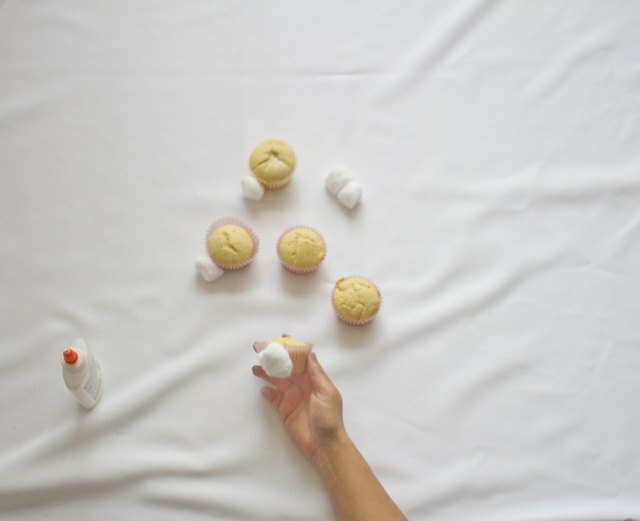 Take a cotton ball and glue it to one side of the cupcake liner. This will be the tail for your bunny. 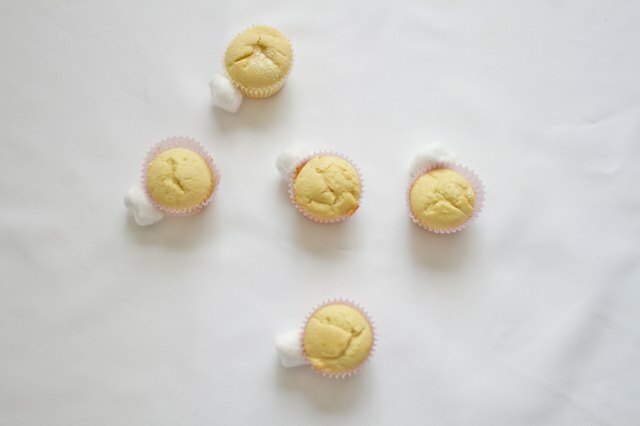 Repeat this step on each cupcake until they all have a "tail." 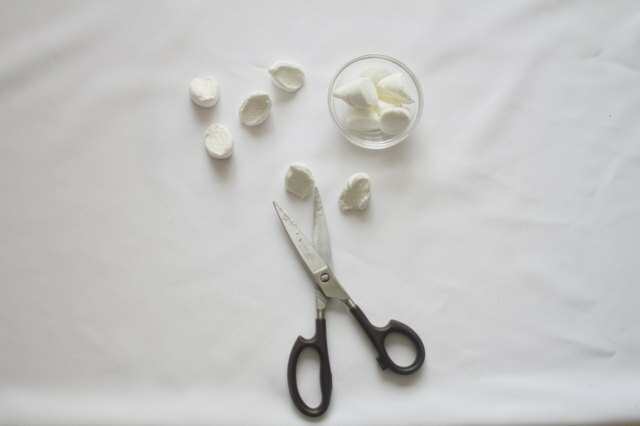 Take a marshmallow and cut it in half diagonally with your cooking scissors. 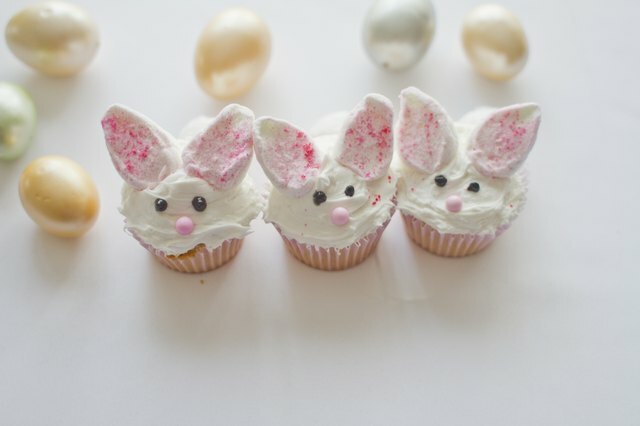 These will be used to create the bunny ears for your cupcake. 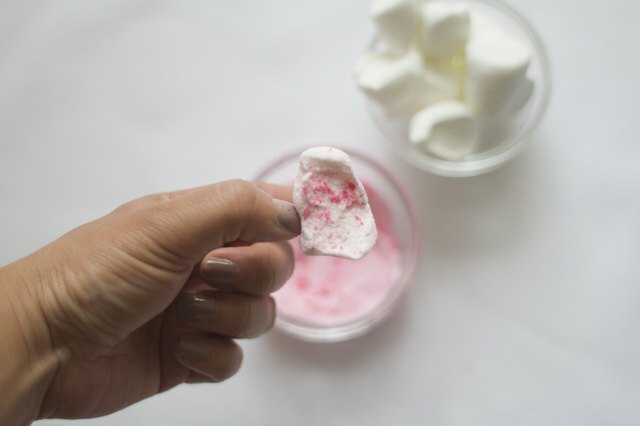 Use one marshmallow for each cupcake. Once they are cut, set them aside. 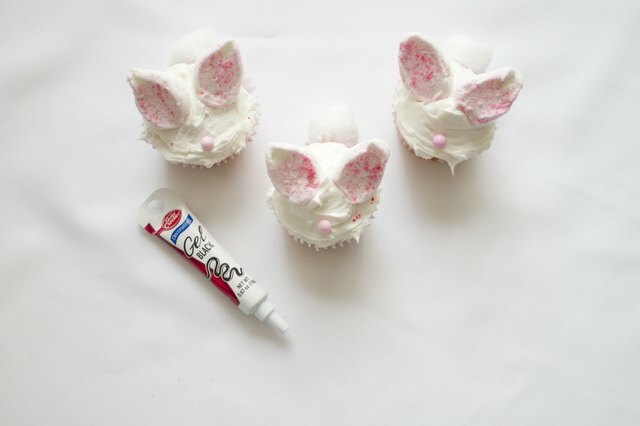 Pinch the tops to create a bunny ear shape. 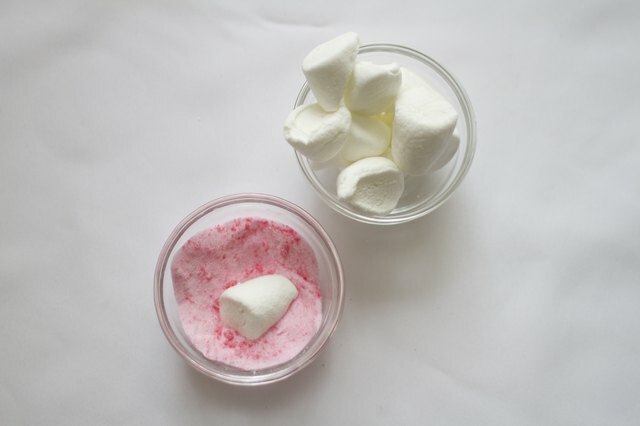 Fill a small mixing bowl with sugar. 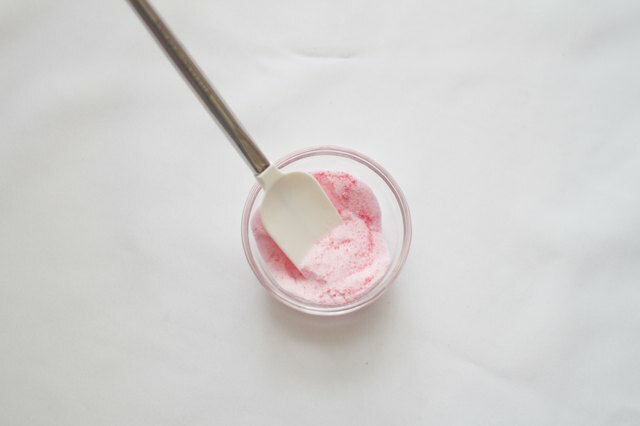 Drop 1 to 2 drops of pink food coloring into the sugar, and mix in the food coloring with a spatula. 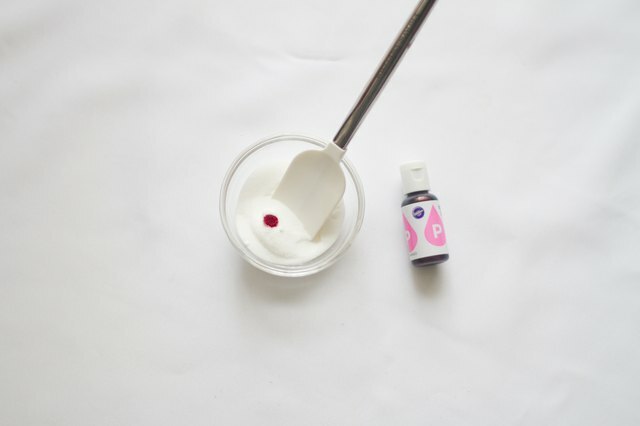 If you desire a darker color use more than 2 drops of food coloring. 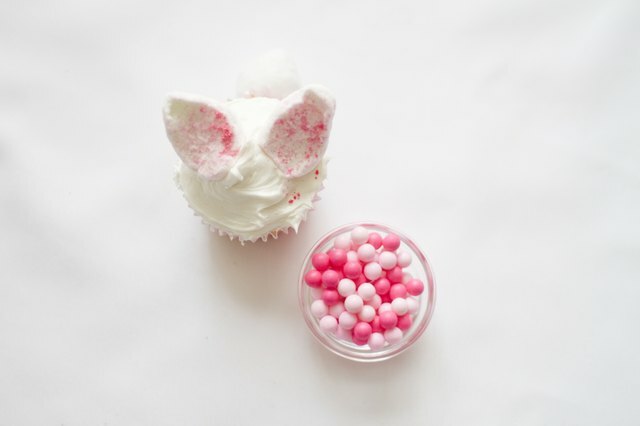 Next, dip the inside of each marshmallow half into the colored sugar to create the inner ear of the bunny ear. Set these aside. 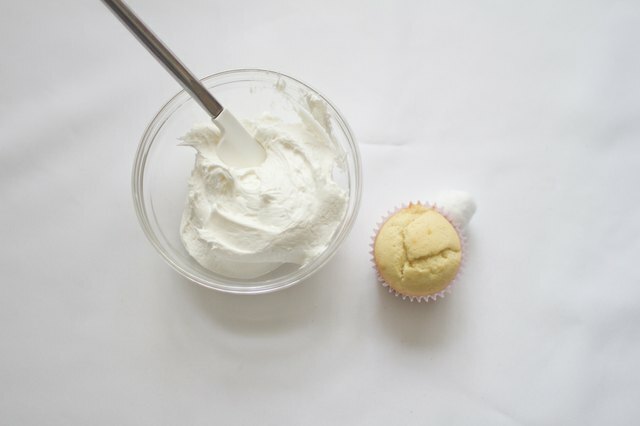 Drop 1 to 2 dollops of icing on a cupcake. 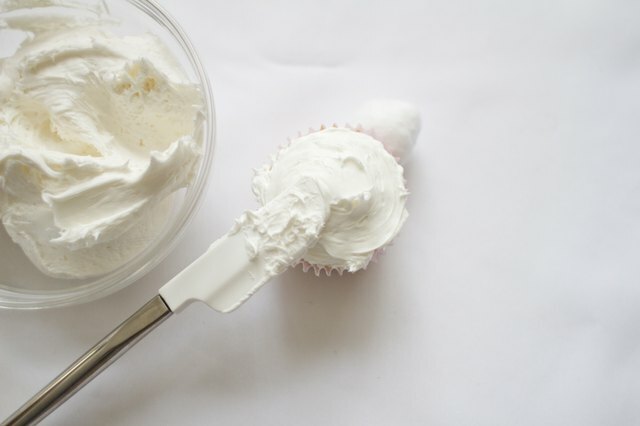 Using the spatula, generously spread the icing and then attach the marshmallow ears on top of the cupcake. 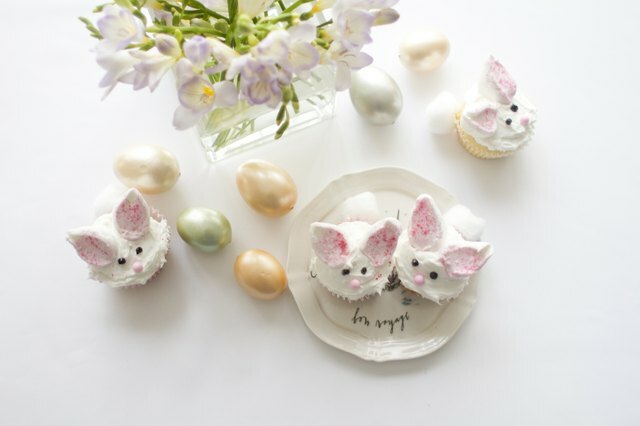 Finish your bunny cupcake by adding two dots of black gel icing to create the eyes and add a pink sugar pearl for the nose. Eat and enjoy! 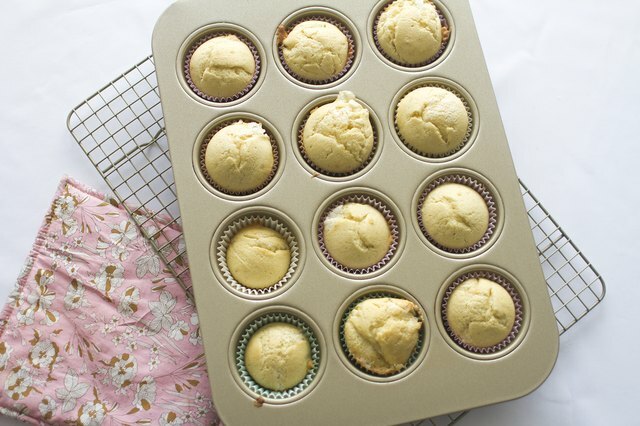 Click here for our favorite recipe on how to make delicious vanilla cupcakes from scratch.